Whomp whomp. There're no Pretty In Pink Multiskulls for sale. 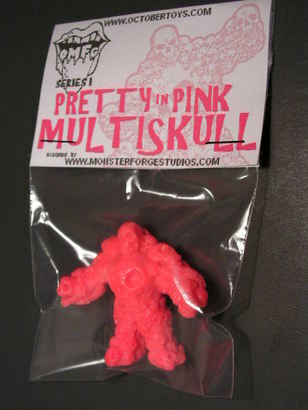 Limited release of Monster Forge's Multiskull figure from the OMFG Series 1 line, in the same hot pink as the proof versions the artists received to contributed to the project. 200 sets sold via the MonsterForge online store.